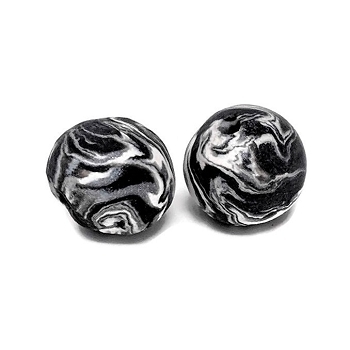 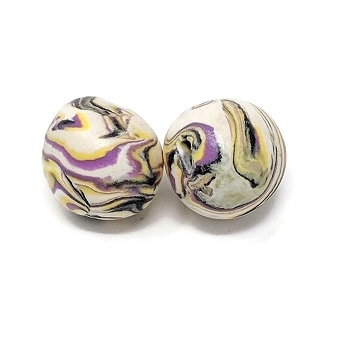 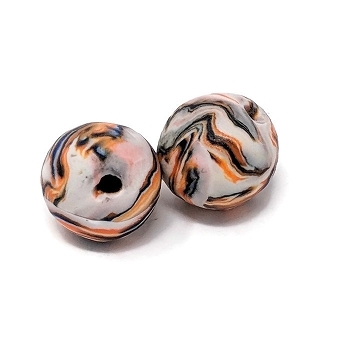 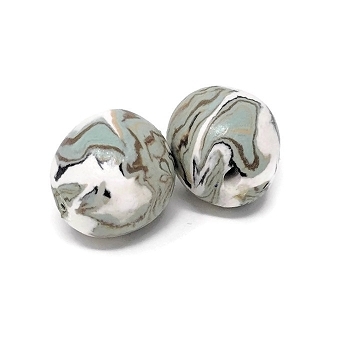 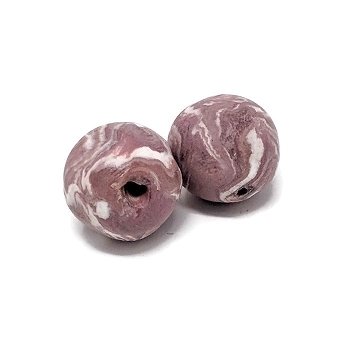 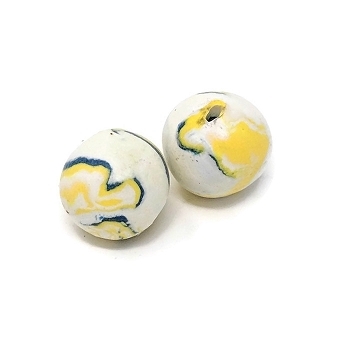 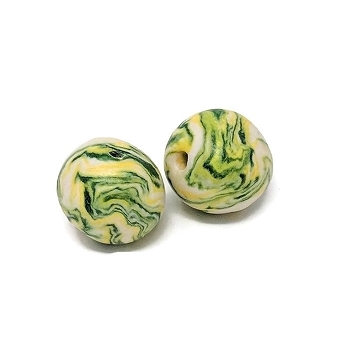 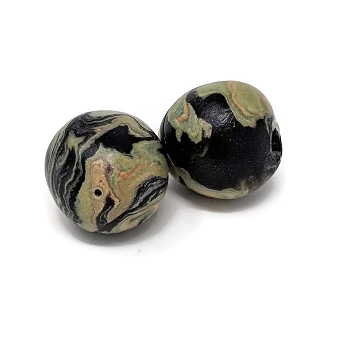 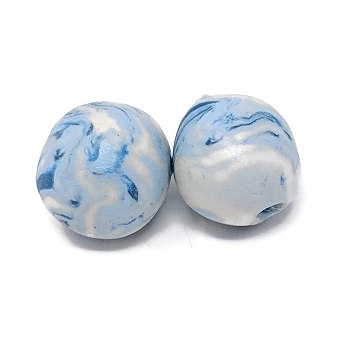 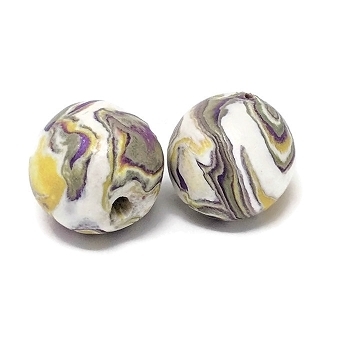 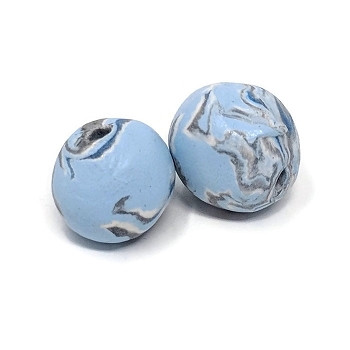 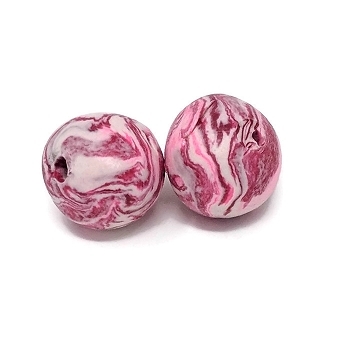 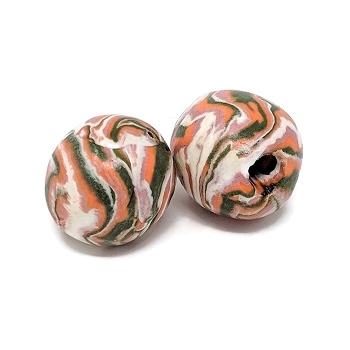 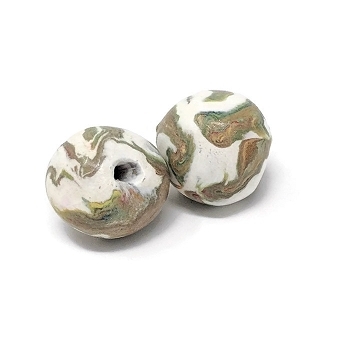 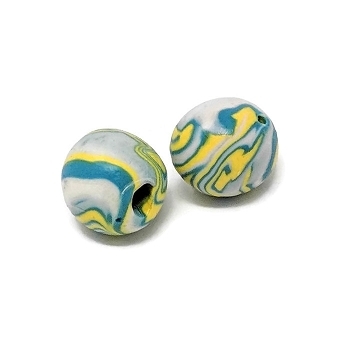 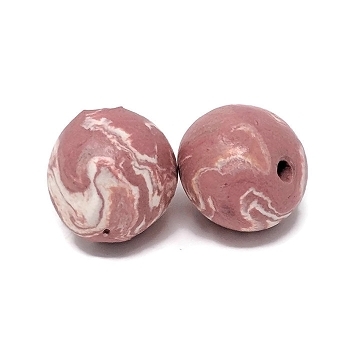 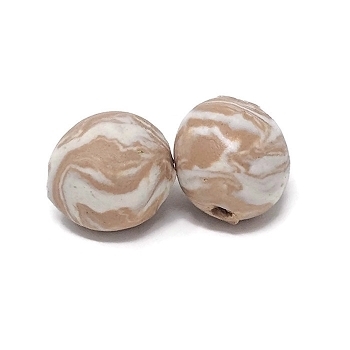 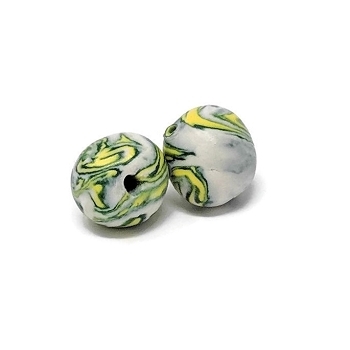 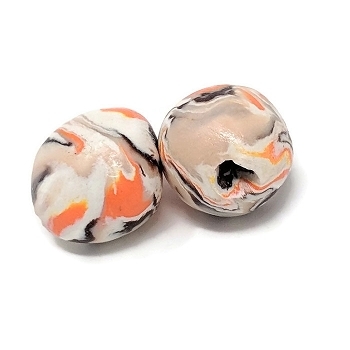 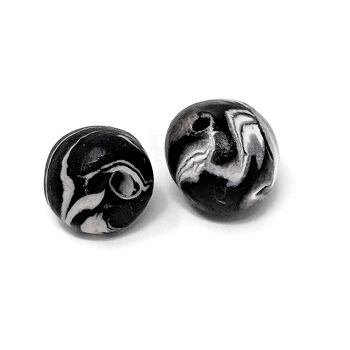 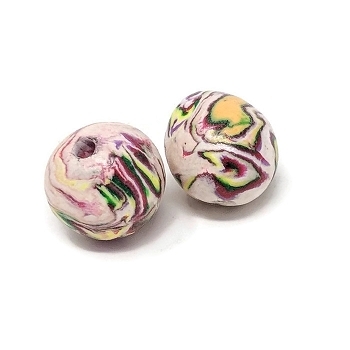 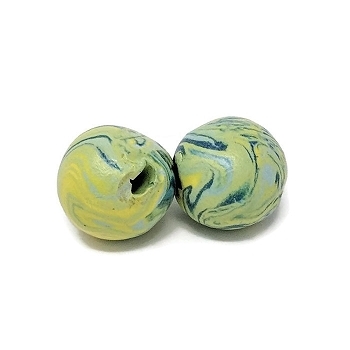 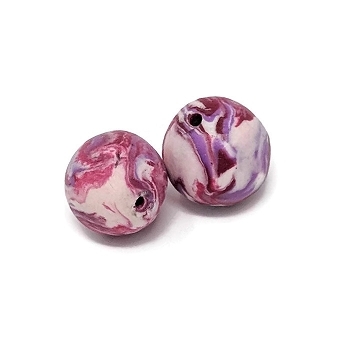 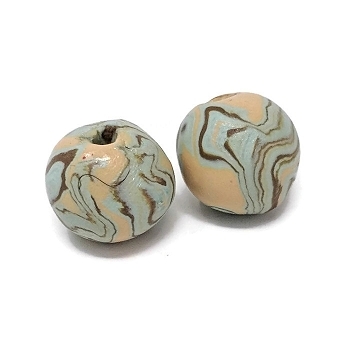 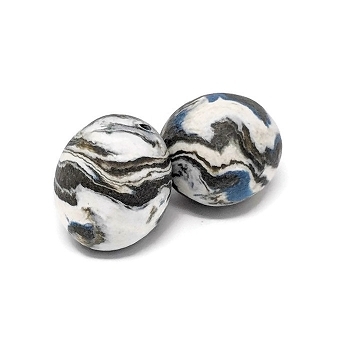 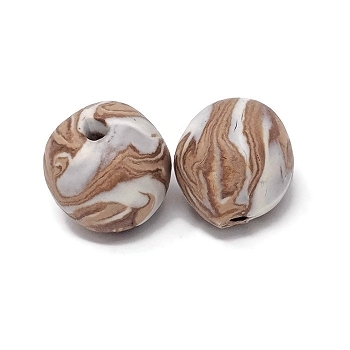 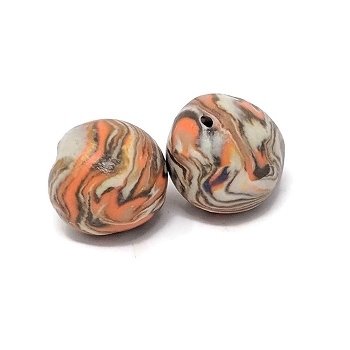 Handmade polymer clay beads. 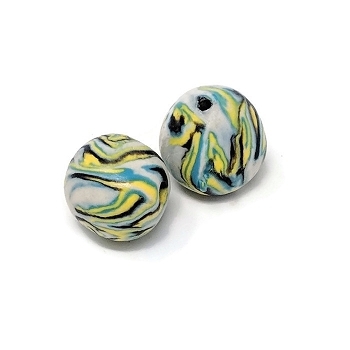 Approximately 14mm. 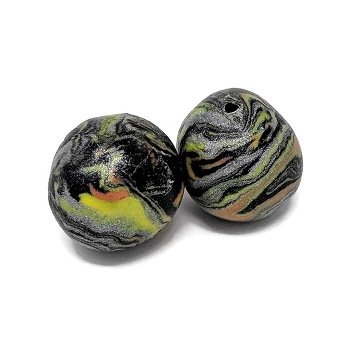 Each bead is unique in size and color. 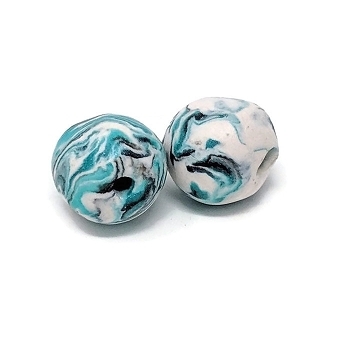 Hole sizes vary but will fit 1.5 mm cord.